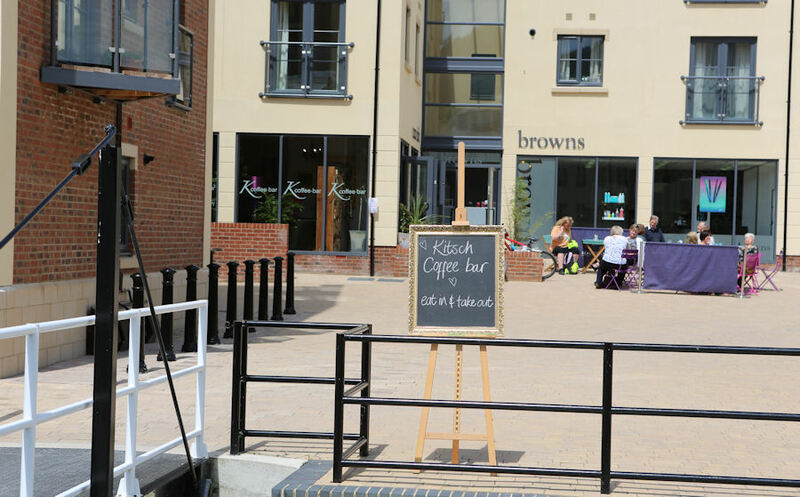 'Kitsch Coffee' operated by Kerri Vernon has recently relocated from Stroud town centre to a new waterside venue at Ebley Wharf, GL5 4UQ. 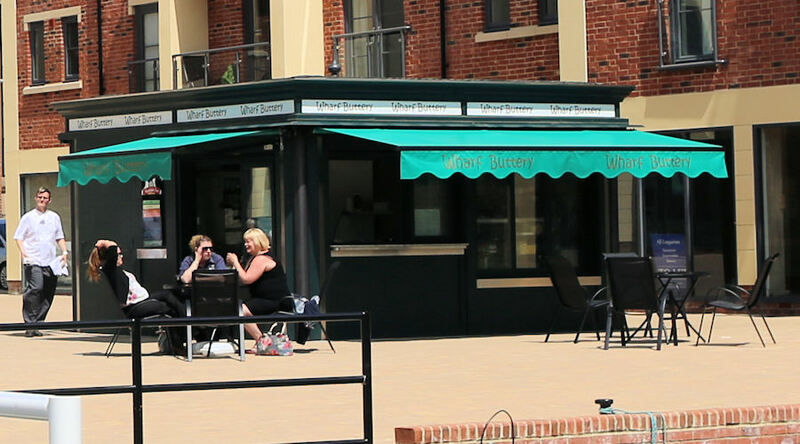 'Buttercup Buttery' operated by Nigel Foster has also opened on the wharf. Proprietor Kerri Vernon says, "We are keen that our customers get the very best coffee and service. We are also keen that they know Kitsch Coffee is not part of some conglomerate multinational chain. "We are proudly independent and know about quality coffee. We purchase the very best 'high end' coffee beans and use organic milk from Woefuldane Organic Dairy in Minchinhampton." Kerri clearly knows about creating a welcoming atmosphere too. Her taste in décor is strikingly individual and quirky. She believes her eye for decorative detail may be the result her grandfather being an antique dealer. Commenting on the fact that the German word Kitsch has been defined as… Art, decorative objects, or design considered by many people to be ugly, without style, or false but enjoyed by other people, often because they are funny! Kerri said… "This collection serves its purpose so well. It is comfortable, classic and makes people smile. It makes me laugh too. This area is up and coming and being here is like being on holiday." Asked to comment on the proximity of the newly opened Buttercup Buttery just across the square Kerri’s characteristically positive approach to business was that "Nigel is catering for the people passing through. The businesses complement each other and sit well in this brilliant new development." Kerri and her staff welcome people looking for a place for business meetings and will open in the evenings for private party occasions. Nigel Foster is another well-known local café owner & caterer. His popular Scrumptious Café at Nailsworth enjoys an enthusiastic following. The Buttercup Buttery kiosk is just a few paces away from the Ebley Mill Pedestrian Swing Bridge. Nigel explained, “We are here to serve busy people who have to grab something and go. We are already serving the staff from the offices in Ebley Mill. "We are impressed by the number of people using the towpath too. To cater for walkers and cyclists we can do picnic boxes to enjoy further along the canal." 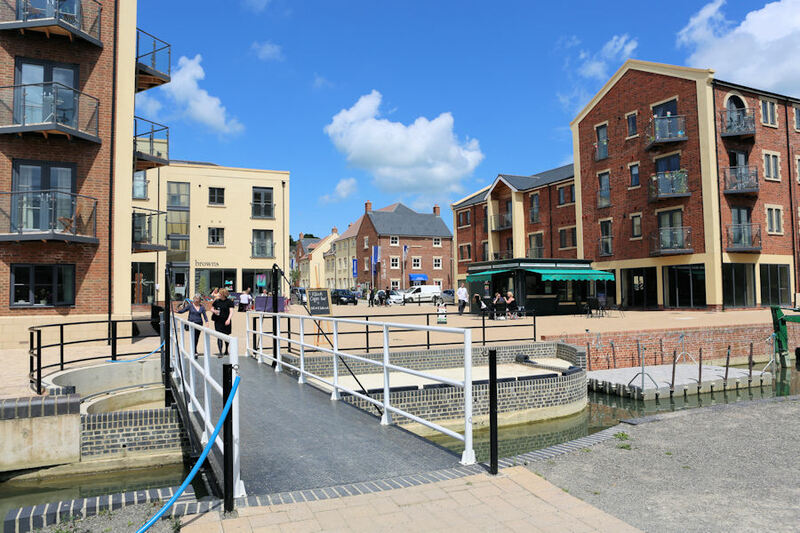 In addition to the popular Marshfield Farm Ice Cream Nigel can also provide picnics for the parties who charter the Cotswold Canals Trust Trip Boat Endeavour which operates from the nearby Cloth Mills Bridge. Bread used at Buttercup Buttery is supplied by local business Dangerfields Bakery of Kings Stanley. The residents of the Ebley Wharf apartments & houses can now place daily orders for Dangerfields crusty fresh bread direct from the Buttery. In May 2013, 8,254 people passed by the electronic pedestrian counter that is sited at Oil Mills Bridge just along from Ebley Wharf. In May this year 9,734 people passed by the same spot. Click here and here, or on the icons below to learn a little more about local suppliers serving the cafes.